Do you know when an eye problem requires prompt attention? Some eye issues can be scary, so if you or a loved one experiences any of the following symptoms, I urge you to act quickly. Saving your vision might be at stake. detachment, or an abnormality in the optic nerve are the most common cause. Women are at higher risk than men, and risk increases with age. Central vision loss is a common symptom of Macular Degeneration, the leading cause of blindness in older Americans. I recommend that seniors monitor their eyes for changes daily with an Amsler Grid. Pick up your FREE Amsler Grid at any of The Eye Associates locations. Most floaters are benign, but if you experience a sudden onset, it could indicate a retinal problem. A retinal tear or detachment needs to be treated immediately. If left untreated, permanent vision loss could occur. 4) Loss of peripheral vision…. Loss of peripheral vision happens so slowly that it often goes unnoticed, but it could indicate that you have glaucoma. Because there are usually no glaring symptoms signaling the presence of glaucoma, I advise everyone to have a yearly comprehensive eye exam in order to catch it in the early stages. Any vision loss from glaucoma cannot be regained, but with medication and/or surgery, it is possible to halt further loss. This may signal an acute attack of Narrow Angle Glaucoma. If you do not receive immediate treatment, this condition can permanently damage your optic nerve, causing loss of vision. I sometimes suggest a preventive laser treatment for patients with ‘narrow’ angles to prevent them from suffering one of these painful attacks. Double vision can be caused by a variety of eye and general health conditions, including giant-cell arteritis (or temporal arteritis), cataracts, migraine headaches, brain tumors, strokes or aneurysms. Get help promptly so the underlying cause can be determined and treated. Cloudy vision, or feeling like a film is over your eyes…. I would suspect cataracts. During a comprehensive eye exam, I can determine whether cataracts are causing these vision problems. Luckily cataract surgery is quite commonplace these days and we can return good vision to you quickly and safely. Saving sight is The Eye Associates’ most important mission. Please call 1-866-865-2020 if you or someone you know needs immediate care. Even after business hours, The Eye Associates has a doctor on-call to take care of emergencies. Have You Heard of Serum Tears for Dry Eye Treatment? If you have chronic dry eyes, you know the discomfort and the stress associated with this eye condition. Because of aging, or because of medication, or because of some diseases like Sjogren’s, but mostly for unknown reasons, almost 5 million Americans suffer from Dry Eye Disease. You may have tried over-the-counter artificial tears at the first sign of symptoms and they may have worked for a while, but then the tearing, itching, irritation and fluctuating vision returned. The problem could be with your tear film. Tears are made with a perfect balance of water, mucus, oil, and other vital biologically active elements. If any of these components gets out of balance, then the quality of the tears is reduced. The Eye Associates is one of the few practices that has the technology to actually measure the quality of your tears. We take a small sample of a patient’s tears, and then using the TearLab Osmolarity System, we are able to determine quantifiably the quality of the tears. Treatment is then prescribed based on the finding from the TearLab. One way to address this problem is with the use of Autologous Serum Tears. Again, The Eye Associates is one of the few practices in this area to offer Autologous Serum Tears treatment. Since over-the-counter artificial tears lack the biologically active elements found in your natural tears, eye drops made from components from your own body have been found to be highly effective for most patients. These customized eye drops are made by separating components of your own blood. The red blood cells and clotting factors are removed, leaving behind blood serum which is used to make customized eye drops for you. The benefit is that these man-made tears possess the same biological nutrients naturally found in your own tears, giving natural relief for dry eyes and other corneal-related conditions. I have many patients successfully finding dry eye relief with serum tear treatment. I got a call recently from a patient that had been unable to drive due to pain and fluctuating vision. After a few weeks of treatment with serum tears, she is now able to drive her husband to his twice weekly medical treatments. She is so thankful for the help. As an Accredited Dry Eye Center of Excellence, the doctors at The Eye Associates have extensive experience in the diagnosis and treatment of Dry Eye Disease. Good vision makes all the difference to our lives. That is why saving sight is The Eye Associates’ most important mission. Click here to request a dry eye consultation. Or call 1-866-865-2020. Nail problems make up about 10 percent of all dermatological conditions, and can signal health problems. Nail problems usually increase throughout life and affect a high number of senior citizens. 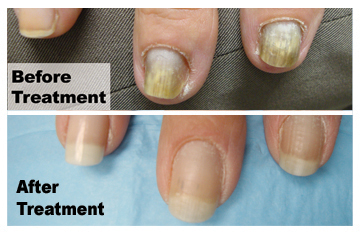 Fungal infections cause about half of all nail disorders and are more common in toenails. Even though rare, melanomas can grow under the nail and are often mistaken for an injury. Any changes in nails should be looked at by a Board Certified Dermatologist.D r. Paul Stevenson at Dermatology at The Eye Associates has great experience and much success with treating these unattractive conditions. Make sure you are examined by your surgeon BEFORE LASIK surgery. It’s important for you to get all your questions answered by the person that is going to be performing your surgery. surgeon and how often a second procedure is needed. perform them all and will choose the best procedure for your eyes. Ask about your surgeon’s qualifications and how many procedures she/he had performed. seems. Make sure that the pricing includes the latest technology, your level of prescription, and all the visits that you will need to complete your care. LASIK is a wonderful procedure and one that can easily change one’s life for the better. You only have one set of precious eyes. Only trust yours to the best! The Eye Associates – Come in for a FREE LASIK screening with Dr. McCabe or Dr. Foster to find out if you are a candidate. Amblyopia, often called ‘lazy eye’ and occurs when the eyes are turned or when one eye has a much different prescription than the other. The brain will “shut off” the image from the turned in or blurry eye. When left untreated, amblyopia can stunt the visual development of the affected eye, resulting in permanent vision impairment. It often occurs during early childhood so detecting the condition early increases the chance of successful treatment, especially if detected before the age of five. The earlier the underlying cause is corrected with spectacles, patching and/or surgery, the more successful the treatment in equalizing vision between the two eyes. You thought you were long over the teen days of having to worry about acne. Well think again. Adult acne usually begins with “blackheads”. Blackheads may look like dirt, but they’re actually the result of oil and dead cells getting trapped in a pore where they block the duct and mix with bacteria. They then turn black when exposed to air. There are many causes of adult acne, some common ones being stress, bad cosmetics, hormones and birth control pills. It should be noted that products that worked on acne during your teens usually do not work on adult acne. It is recommended that you see a dermatologist as he/she has an arsenal of treatments to help clear up your skin quickly, and most are covered by insurance. If you are an adult who wants acne treatment in Bradenton, make an appointment today with our Board Certified Dermatologist, Dr. Paul Stevenson at The Eye Associates. 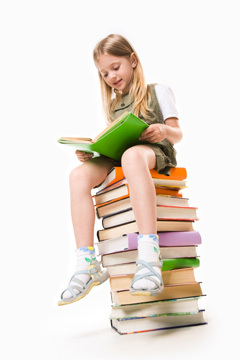 Did you know that 80% of all learning in a child’s first 12 years is through their visual system? While most parents recognize the value of routine visits to the dentist, they often underestimate the importance of testing their children’s eyes. Studies find that 1 in 4 children, ages 5 to 12, have an undiagnosed vision problem that can affect their educational performance. Additionally it often affects other areas such as personality, behavior, and sport performance. Children are sometimes mislabeled as “slow learners” when impaired vision prevents a child from seeing clearly. 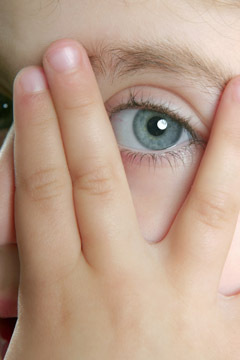 Even if your child doesn’t complain about not seeing well, you should not assume that there are no visual disorders. Your children have no reason to believe that you see any differently than they do. According to the American Optometric Association (AOA), infants should have their first comprehensive eye exam at six months of age and then at age 3 and right before they enter kindergarten. For school-aged children, eye exams should be performed every two years if no vision correction is required, but annually if they wear eyeglasses or contact lenses. To make sure your kids have the chance of learning in school, call 1-866-865-2020 to schedule an appointment today with any of our Board Certified Optometrists for a comprehensive eye exam to make sure your kids have the chance of learning in school.